Have you smelt the change yet? It’s everywhere. Open the newspaper and there are featured articles. Switch on the Television and there are at least two advertisements with Mithali Raj and Harmanpreet Kaur running. Log on to social media and Twitter is buzzing with celebrities on overdrive talking about them. Clippings from matches are being forwarded on Whatsapp. The girls are back in fashion after India’s complete performance in the league stages of the Women’s World Twenty20 in Caribbean. They beat New Zealand, Pakistan and Ireland in their first three games to qualify for the semifinals, and things hit a crescendo when they demolished Australia on Saturday night to top Group B. Beating Australia – the gold standard of world cricket – is always special. And when it comes in a global event, it is more than just a result. There are so few good memories from matches against Australia that Indian fans latch on to whatever memorable comes their way. 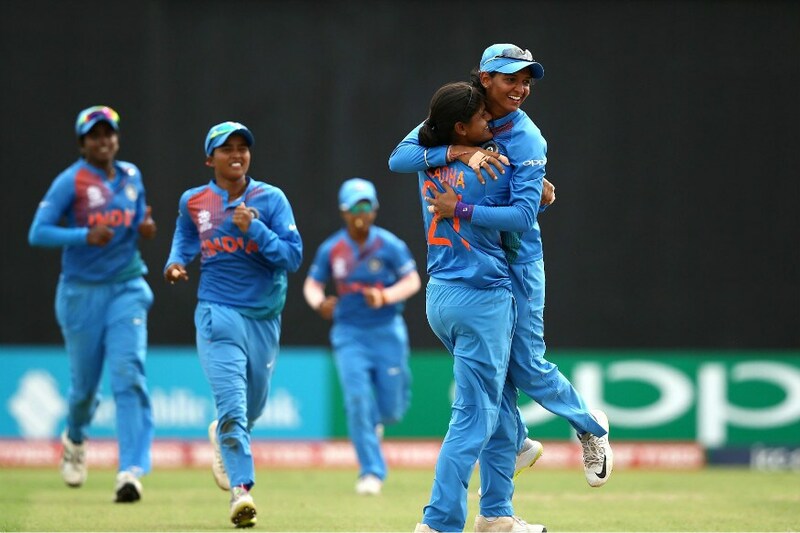 After Harmanpreet’s unbeaten 171 in the 2017 World Cup semifinal enthused an entire nation, a 48-run win in the World T20 has once again aroused the excitement levels. Mind you, one bad day in the office in the semifinal in Antigua, where conditions are not the same as Guyana where India played all their league games, and things could crash. But haven't we already been here in the past? The semifinal defeats in the 50-over World Cups in 1997 and 2000, and in the World T20 in 2009 and 2010, and the losses in the finals of the World Cups in 2005 and 2017 were seen as opportunity losses. It’s not a joke on the players, but on the system which always wakes up late and goes back to sleep till the next populist win rekindles interest. The last loss in the 2017 World Cup was particularly painful as India fell short of their target against England by nine runs in front of a packed Lord’s stadium. A record number of viewers had turned on their Television sets to witness history, and the girls were ready to be finally unburdened of the unfair expectations of four decades. It was not to be, and the baggage that they carried silently deep within themselves even as the country celebrated them on public platform reflected on their performances earlier this year. After a good start in South Africa, they had little answer against Australia and England in the T20I tri-series in Mumbai, and things hit the nadir when they lost to Bangladesh twice, including in the final, at the T20 Asia Cup in Malaysia. Does this India team have the wherewithal to play T20Is? Were the players now fearful to take the very approach that had taken them to glory only a few months back? Were they victims of their own image? Were they being defensive and trying to protect their territories? Was everything alright inside the dressing room? So many questions and more debates followed after Tushar Arothe, the head coach, resigned not even six months into his two-year contract. The team closed ranks and recognised that the only way now was up. In that period of uncertainty, Ramesh Powar, the former India offspiner known for his street smartness and shaped by Mumbai’s khadoos mentality, arrived as a big brother. He empathised with the players, but also spoke some hard truths. In his first media interview after becoming the coach, with Cricketnext in August, he had made it clear that he was looking for ways in which could optimise the performance of the team keeping the World T20 in mind as his contract was only till the end of the tournament. To admit that he was not thinking long term allowed players to build a working relationship with him. Here was someone who related with them. Everyone was now united in their goal – the World T20 in the Windies. Someone like Jemimah Rodrigues, unsure of her place in the Arothe regime, was given the assurance of No.3 spot as long as she stayed true to her ethos of aggressive batting. Harmanpreet herself was happy to shuffle in the batting order in the team’s interest. Arundhati Reddy was preferred over a senior like Shikha Pandey, who was expected to lead the bowling unit after Jhulan Goswami retired from T20Is. There was no discontent when D Hemalatha or Radha Yadav started in place of the veteran pair of Anuja Patil and Ekta Bisht. It was a case of the whole is great than the sum of its parts. These were not only tough calls, but Powar, aided by Hemlata Kala’s selection committee, in a way was breaking the rigid hierarchy that has more often than not been a bane in T20Is at least in the Indian women’s cricket fraternity. As an outsider, Powar had nothing to lose. Independent of the changing team dynamics, Smriti Mandhana topping the run charts and becoming the player of the Kia Super League in England this year added to the cause. Even Harmanpreet doing well there expanded the horizon of the young players. The team was now filled with believers, and Mithali Raj’s invaluable experience provided the toppings. She could have easily felt uneasy in a new setup, but her best always comes out when she is challenged. Look at how she constructed the chase against Pakistan and the way she held the innings together against Ireland on a sluggish surface. Both innings offered many lessons for youngsters who are still not fully equipped to handle all that international cricket throws at them. This is the genesis behind a happy and healthy unit coming together in short notice to take India to the World T20 semifinal for the first time after eight years. India could have opted to chase against New Zealand in the inaugural game and against Australia – both higher-ranked teams and their strongest opponents. But they chose to set the plot by putting runs on the board. 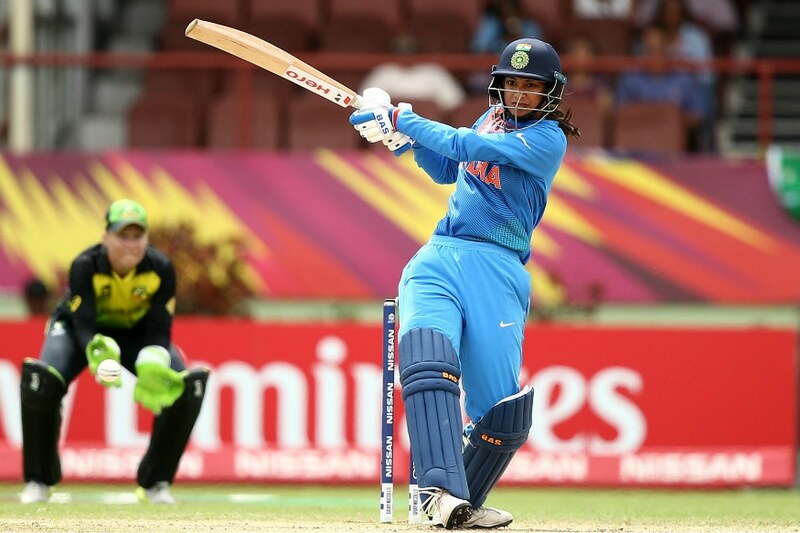 Harmanpreet rescuing India after three early wickets with a 51-ball 103 was a captain leading from the front. Mandhana returning to form against Australia with her career-best 55-ball 83 was a batting leader rising to the occasion. Don’t forget the support acts that have made these two or Mithali’s twin player of the match performances look bigger than they actually were. Rodrigues set the tone against New Zealand, and along with Mandhana complemented Mithali well against both Pakistan and Ireland. Against Australia, it was Harmanpreet’s turn to support Mandhana, and all of these acts have been selfless. Harmanpreet’s count of sixes in four matches is 12 – the most by any player in one edition of World T20. It is a massive statement from a country not known for six hitting. While batting has been the fulcrum, the spinners have varied their pace to such an extent that it has forced opposition batters to create pace to find the boundaries. Poonam Yadav, who has most T20I wickets in a calendar year with 35 scalps in 2018, has bowled her legspin, top spin and googlies between 50kmph to 75kmph. She also bowls from behind the crease, from wide of the crease and from the front, but the basic premise is the same – bowl to the field on the offside and make the batters manufacture shots on the leg side. Radha too has followed the same pattern. The dismissals of Meg Lanning and Ashleigh Gardner at critical junctures of Australia’s chase suggests that so far at least, the plan is working. The fielding, except for the game against Pakistan, has been gun standard. Veda Krishnamurthy became only the second fielder, in the game against Australia, after England’s Lydia Greenway to take four catches in a T20I. Taniya Bhatia now has most dismissals (nine stumpings and two catches) as a wicketkeeper in one edition of WT20. Deepti Sharma and Radha Yadav have taken some stunning catches, and Rodrigues has a pick up-and-throw run out against her name. Again, mind you, all this could count for nothing in Antigua where India will play under floodlights for the first time in the tournament. But look beyond the result. The new generation has announced its arrival. Does not that smell refreshing?